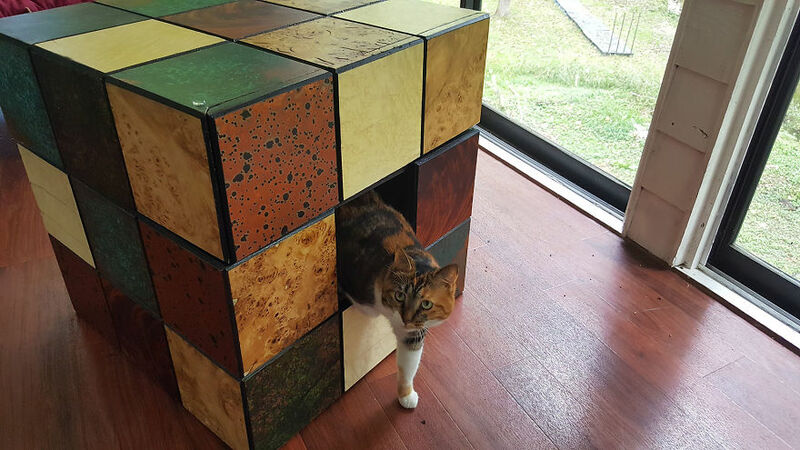 This Rubik's Cube cat bed was a hybrid of the classic Rubik’s Cube puzzle and high-end furniture. It was made from exotic wood veneers like Mahogany and Mappa Burl. 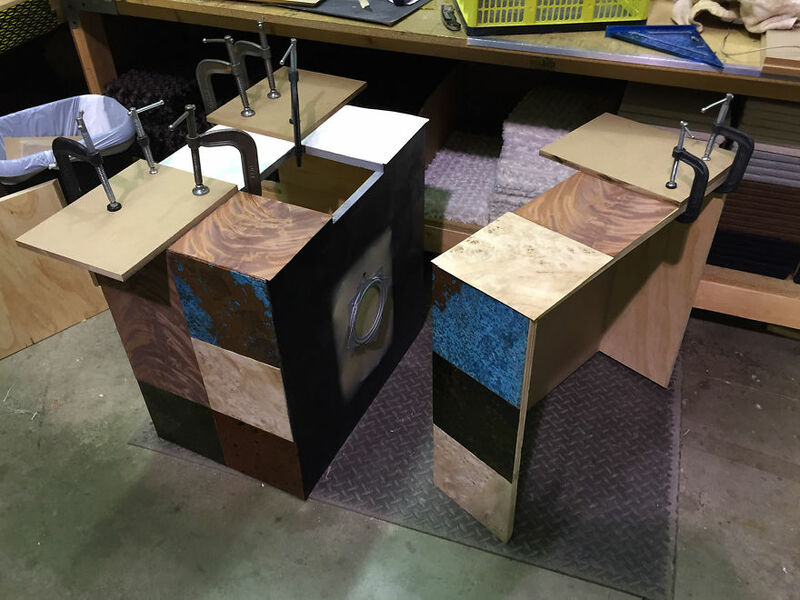 For the brighter colors like green and blue, we used a beautiful Patina copper veneer. 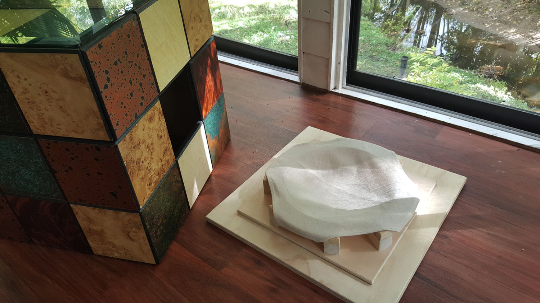 We really wanted this piece to be a space for a cat and also a usable piece of furniture for the people living in the home. The cat bed cave area inside the cube was great for cats who prefer dark, secluded spaces like underneath the bed. 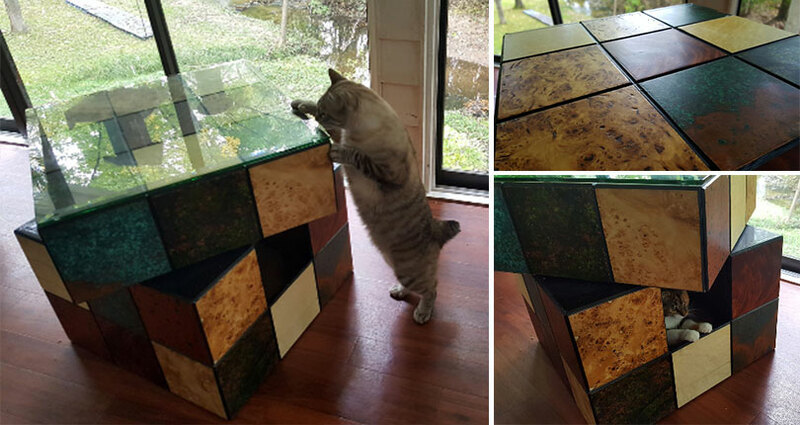 The spinning top platform had a built-in drawer, for cat toys or magazines. 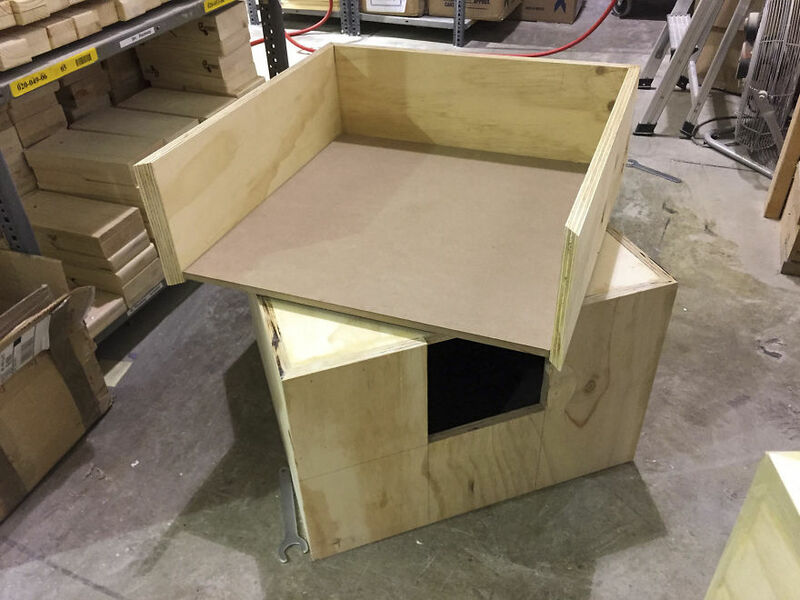 For this design, we built the top and bottom sections separately, to later be connected with a Lazy Susan to achieve the spinning effect. One problem we ran into was the white wood veneer cracking as it dried. For some reason, that was the only color veneer we had trouble with. After the first time it cracked, we bought wood veneer conditioner and applied another layer with that. Each time the white square continued to crack; that's when we decided the cracks were meant to be part of the character of the piece. The cat bed was made up of three solid wood railings with a removable, washable heavyweight duck canvas. This was very time consuming to make and shipping was also quite expensive. 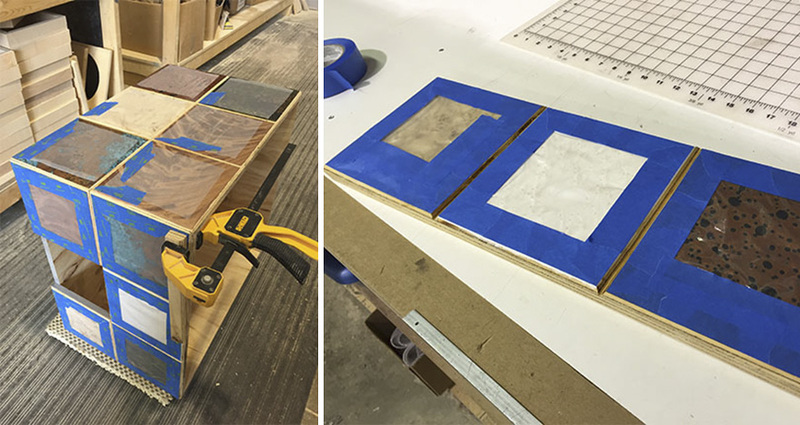 With some ideas, we know right away that we're not going to continue building them, and we realized that about the Rubik's Cube about halfway through gluing the veneer squares in place.